Grantland Rice picked him as another of Michigan's great pivot men. 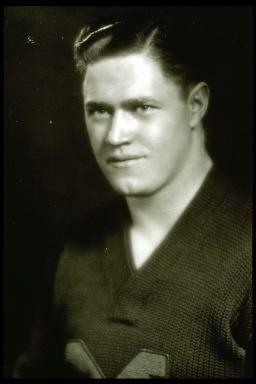 Chuck had understudied Maynard Morrison in 1931, and was well prepared to be a brilliant center on three Big Ten championship teams. Called greatest college player in the country by pro coaches in 1933. Equally brilliant on offense and defense. "Without Bernard," said AP sports editor Alan Gould, "the Wolverines could hardly have topped the toughest league in the country."